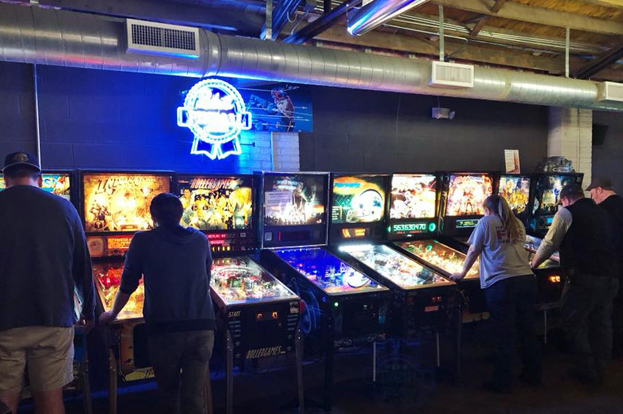 Known as Charlotte, North Carolina's first arcade and bar hybrid, the Abari Game Bar in the NoDa community offers new and vintage arcade games, pinball machines, a lounge area with Nintendo 64, and even board and card games. Abari has an impressive selection of craft beer, game-themed cocktails, and specialty house-made sodas. Abari is the only location in the south to carry Killer Queen, a 10-player arcade machine and less than 40 of these machines exist in the entire United States. The Asheville Retrocade wants you to switch off the TV and come play. 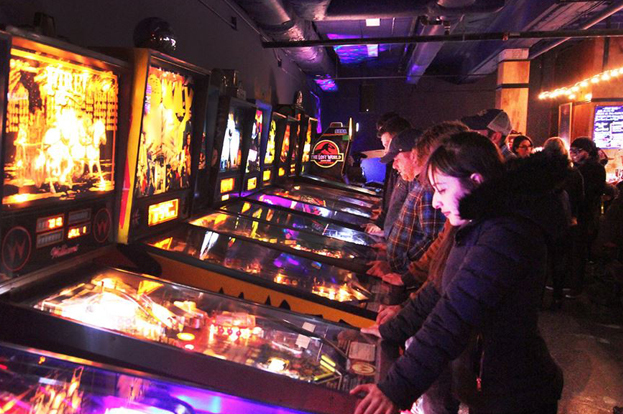 With over 5,000 video games, pinball, billiards, skee-ball, foosball, and the best in retro music until 2 a.m., the Retrocade guarantees a good time. They offer an excellent selection of craft beer, wine, and Coke products that you can enjoy inside or outside on their deck and patio area. 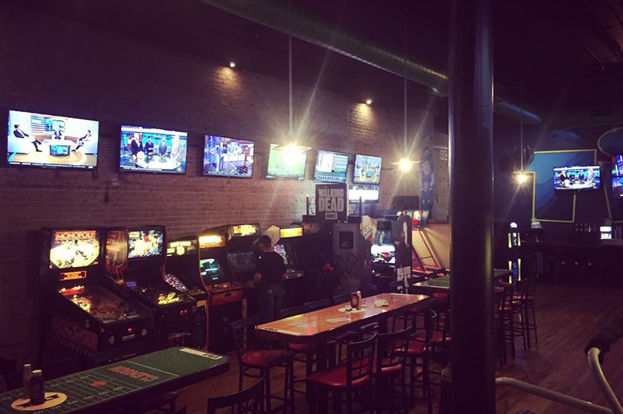 Head to Greenville, South Carolina for hours of fun at the Tilt arcade bar. 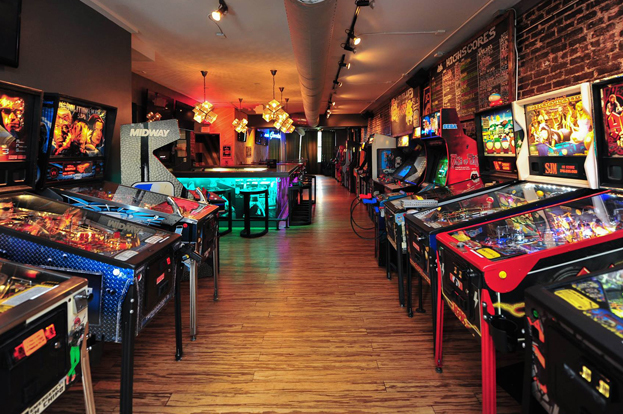 Tilt offers all of your favorite vintage arcade games, pinball, bowling, skee-ball, Hoop Fever, wall-to-wall TVs for watching games, and a live DJ who will play your favorite tunes late-night. With a full bar and restaurant menu, Tilt's got it all. 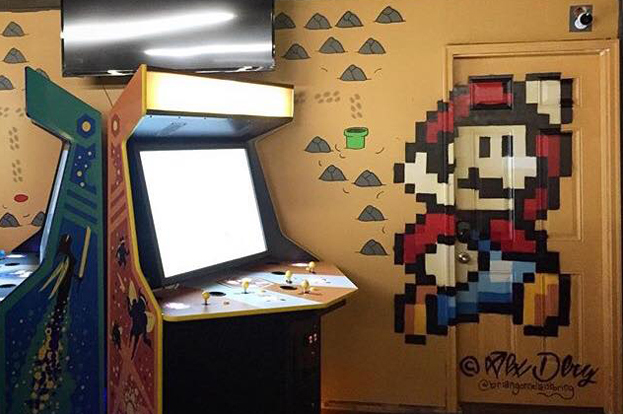 Palmer Street Gamebar in Charlotte, North Carolina is a 21-and-up game bar, taproom, and eatery with 31 classic games from owner Chris Hathaway's personal collection. All of the arcade games are free to play, and a pinball game will cost you $0.50. Located in South End's Gold District, Palmer Street's food menu offers simple fare like sandwiches and beer cheese pretzels. Located on James Island, South Carolina and voted Hottest Spot for food, drink, billiards, and games, Garage 75 kitchen and arcade never disappoints. 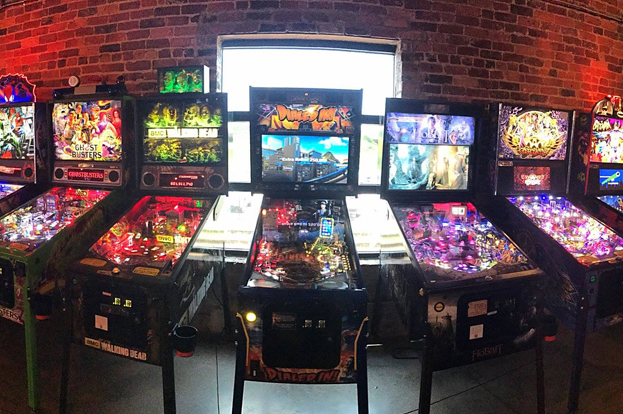 With over 30 arcade games, one of the largest selections of pinball in Charleston, and free ping pong, this arcade bar has something for everyone. Garage 75 boasts a fresh menu that changes periodically, as well as 14 rotating draft beers including local and seasonal brews. 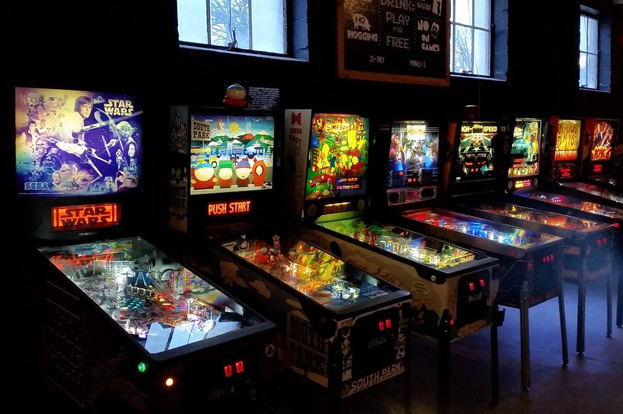 Head to the Basement Arcade Bar in historic downtown Concord for classic arcade and pinball games as well as new pinball titles like Game of Thrones, The Walking Dead, and more. The Basement offers a wide variety of local beers, wines, signature mixed drinks, and non-alcoholic options for all ages. 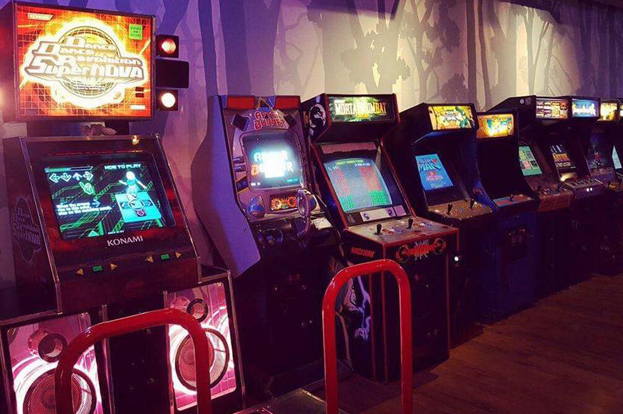 This arcade bar is legally a private club, so there is a $1 membership fee at the door, though members may bring up to 5 non-member guests of any age until 9 p.m. From 9 p.m. on, the Basement is 21 and up only. 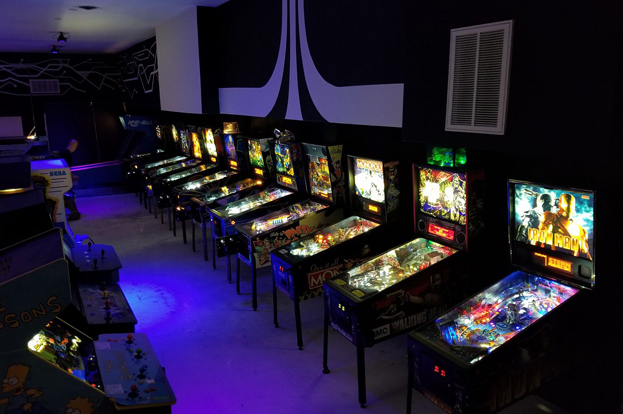 Also a private club, the Quarter Horse Bar & Arcade in Durham, North Carolina, boasts a fantastic collection of classic arcade and pinball machines. The Quarter Horse is kid-friendly during the day but is an adult club after 8 p.m. 7 days a week. With offerings like craft beers, cocktails, wine, soda, and a variety of snacks, you won't go hungry while gaming at the Quarter Horse. 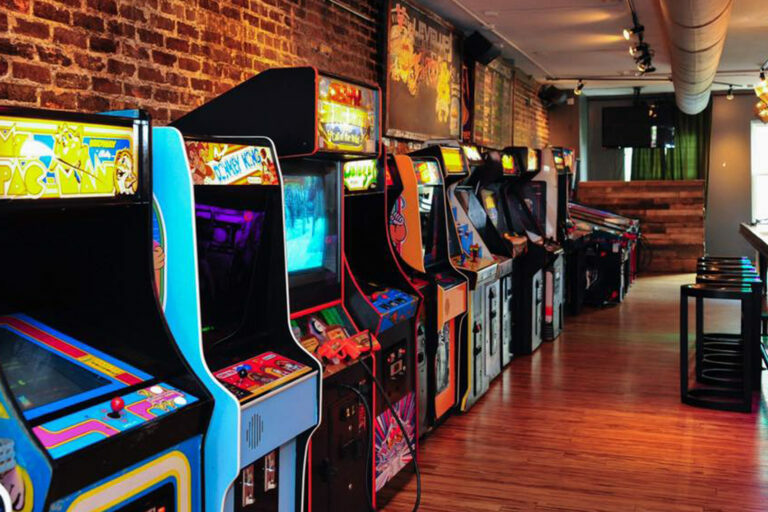 The Baxter Arcade in Chapel Hill, North Carolina, boasts a nerd-chic atmosphere, up to 50 vintage and original arcade games, and quality libations of all sorts. This bar is filled with pop art, unique toys, two indoor lounge areas, and an inviting outdoor patio space. 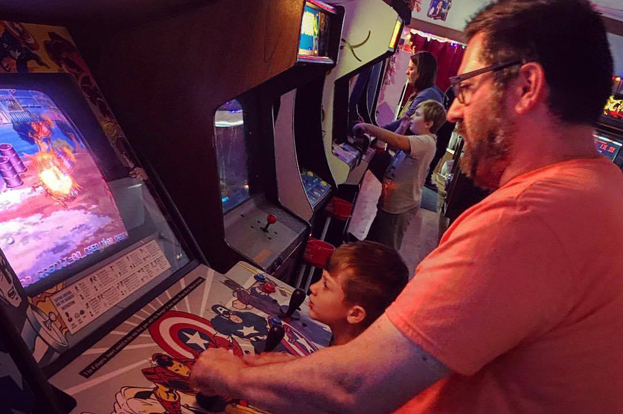 Kids are welcome Saturdays and Sundays from Noon to 5 p.m., but otherwise, this adult arcade is the place to relive your childhood while enjoying grown-up libations with your friends. Located in downtown Raleigh, North Carolina, the Level Up Kitchen and Barcadium offers upscale pub food, craft cocktails, and vintage video games. Level Up boasts lots of classic favorites like Pac-Man, Mario Bros., Donkey Kong, and much more. This arcade takes it up a notch with weekly trivia night, pinball tournaments, and even the Great Onesie Bar Crawl. An authentic 1980s arcade, the Reboot Arcade Bar features over 60 classic arcade and pinball machines in Winston-Salem, North Carolina. Reboot offers a full bar with a wide variety of beers, cocktails, and non-alcoholic beverages. All ages are welcome with an adult Saturdays and Sundays Noon – 6 p.m., with other hours for ages 21 and up. Lucky's Bar and Arcade in Charlotte, North Carolina, lets you step back into the 1990s with the decade's best music, games, and memorabilia. 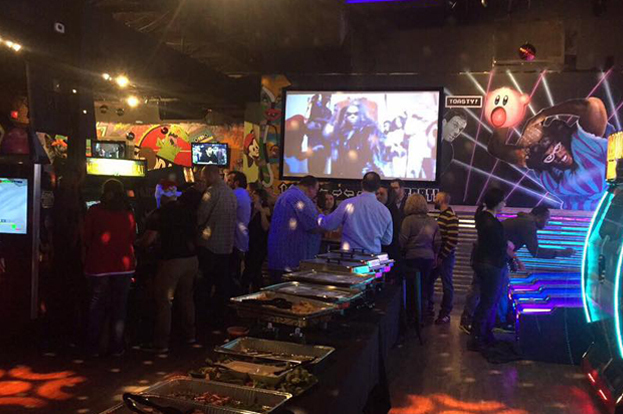 Lucky's has a fully stocked game bar with favorites like Nintendo, Nintendo 64, Super Nintendo, Sega Genesis and Xbox. 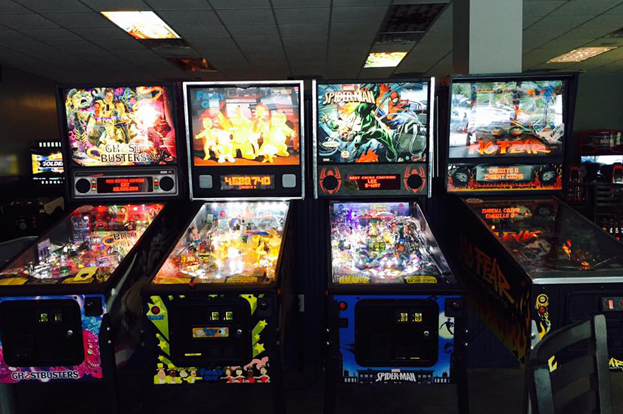 They also offer classics like pinball, skee-ball, air hockey, foosball, and numerous vintage arcade games. 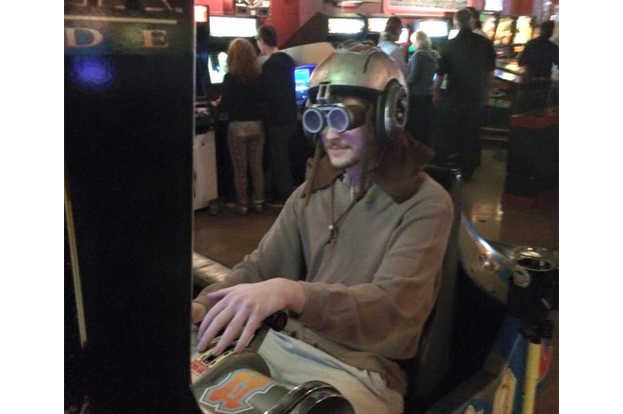 The Boxcar Bar + Arcade has two locations in Raleigh and Greensboro for your gaming pleasure. The Boxcar offers the ultimate drinking and gaming experience with a casual, welcoming environment along with affordable prices, your favorite arcade games, and a full bar. If you get hungry, the Boxcar offers fresh, free popcorn all day and allows you to bring in food from any of your favorite local establishments. Visit your local AAA travel agent to help make your arcade outing straightforward with many discounts, reservations, and TripTiks, AAA's exclusive travel planner. AAA members receive discounts at thousands of hotels, so book a stay near your destination and you won't have far to travel. If you have had a few drinks, stay safe and get home with Uber. Just tap a button and Uber will be there in minutes. AAA members receive a free first ride! Before any trip, make sure your membership is up to date. You can efficiently manage your AAA membership online or call 1-866-593-8626 while on the road. Search through hundreds of Discounts!